Have a question you think should be added to our FAQ page? 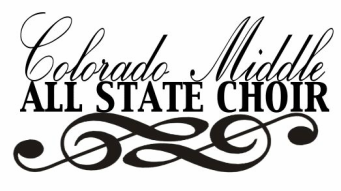 Please contact msallstatechoir@gmail.com with your suggestions! Why am I only allowed to audition 25 students? Due to judging shortages, teachers may only send in 25 students from each school. It is at the submitting teacher's discretion to determine which students they choose to submit. What will happen if I submit more than 25 auditions? The board will only judge the first 25 auditions submitted. Any subsequent auditions will be disqualified.